Working in West Palm Beach and living in Wellington could be a reasonable decision. 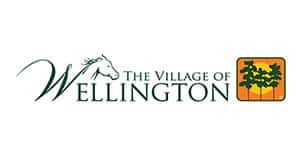 Tens of thousands of people choose Wellington as a nice family village located in Palm Beach County. If you are moving to Wellington, or away, Easy Florida Moving is proud to offer our services to you. Our knowledge, experience, and punctuality made us one of the Wellington’s best moving services. We are happy to show you some of the services we provide, as well as explain why should we be your number one choice! Get ready to work with Wellington’s Top Rated Moving Service. Easy Florida Moving offers many services to our customers, making your move trouble-free. Our company features many relocation solutions, like cross-country and local moving, household, and office moving. There are no limitations to where you can go. We lead the whole process of moving – from wrapping the items in the heavy duty blankets to labeling and loading. Easy Florida Moving also makes sure you do not have to disassemble any furniture because we truly want to help you. Sometimes there are items that are too large or hard to move. Those are called specialty items, and they include things like pianos, large art objects, and heavy sports equipment. You need to have a certain level of skill when moving items like this. Easy Florida Moving truly knows how to take care of specialty items. If you are not ready to move into a new place yet, because it is being renovated, our company offers convenient storage facilities. We told you that we would take care of you! We are on the phone 24/7, meaning we will answer any questions you may have, even on the weekends! Our services will be pre-calculated to provide you with the most accurate quote. Easy Florida Moving employees know that you would not like any surprises when it comes to the moving rate, so be sure that our Flat Rate will be the same from beginning to the end. Our local Wellington movers can start the relocation process within one hour. We are located close to you, so you do not have to worry about some large time periods of delays. Easy Florida Moving is efficient, fast and punctual. We use only the finest moving materials and tools, such as blankets, dollies, and trucks. We do not tolerate when other moving companies show a pattern of disrespect towards their clients, wrap their items in nasty old blankets, and use old ripped boxes. Easy Florida Moving is so much better than this. You can be sure your household or office will be safe and secure with Easy Florida Moving. Our moving solutions are extensive, packers are friendly and knowledgeable, and prices are affordable. Give us a call to get your free moving quote, and we will be happy to relocate you anywhere you want!